Hehehe... bet the other tweet would have been "fish for supper, again!" MOL! 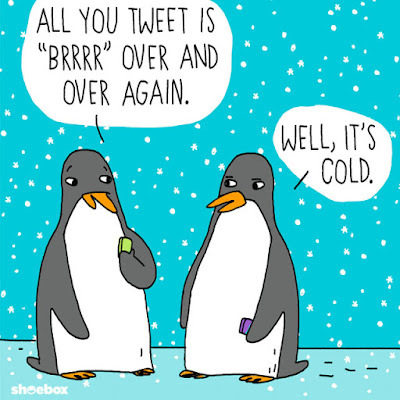 We're saying brrr, too! Sometimes one word says it perfectly! ROFL! That would be me if I were a penguin. I don't like cold. I *am* people like that! Yup...at 10F it *is* Brrrrr!